Gabrielle Loren is the founding partner of Loren Nancke. Her entrepreneurial spirit and commitment to client care are the cornerstones on which the firm has been built. For the last 25 years, she has been a tireless advocate for providing people with practical, reliable, professional advice in a way that empowers them financially – either as individuals or business owners. A sought-out speaker, instructor and author, Gabrielle regularly leads seminars and publishes articles on tax and accounting issues for small business growth and development. Gabrielle has served in various community organizations including the West Vancouver Chamber of Commerce and the Lions Gate Hospital Foundation. 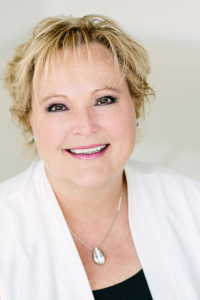 The recipient of numerous awards, including Best Business Person by the North Shore Outlook Women of Excellence, she has been featured as a financial expert on Global TV, City TV, Financial Post, Vancouver Sun, Business in Vancouver, community newspapers and Canadian Living magazine.